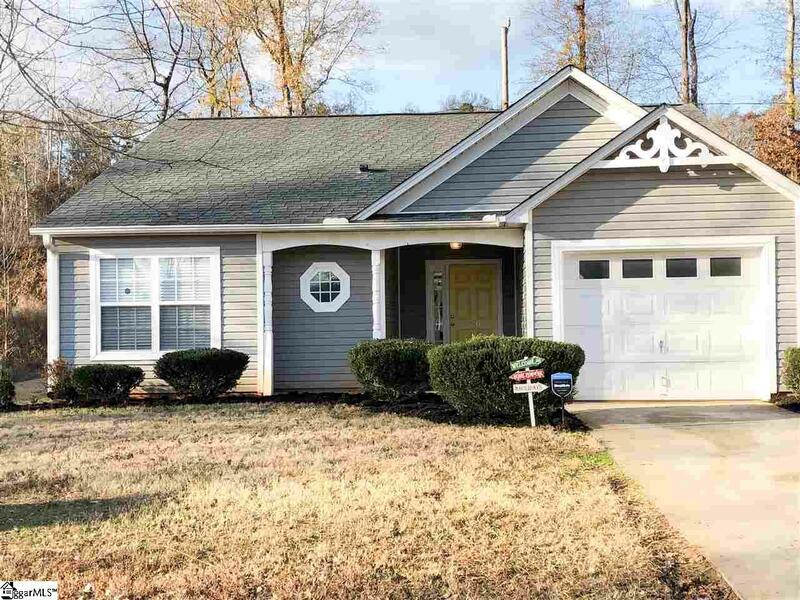 Completely remodeled and move-in ready home in a family friendly, Spartanburg neighborhood at a price range you can afford. Just 5 minutes to downtown Spartanburg, our team has once again remolded an affordable home in all new modern color carpets and paints, Stainless steel kitchen appliances (new kitchen counter tops) and hardwood floors, all new brush nickel lights throughout and ceiling fans in each bedroom and living area, and the new cordless window blinds on all windows. On the structural side youd be getting a new high efficiency York HVAC system (3.5 tons running on 410), architectural shingled roof, upgraded wiring and plumbing fixtures. We also provide a washer and dryer, and a wireless security system and a one-year home warranty. Listing provided courtesy of Ken Pujdak of Orion Realty Broker, Inc.